It has been a thrilling year of discovery in many areas of science, but also a sobering time - federal funding cuts threaten the future of innovation, and rising carbon dioxide levels foreshadow environmental and health challenges linked to climate change. In 2012, we celebrated the spectacular acrobatic arrival of NASA's Curiosity rover on Mars. But this year, Curiosity proved its worth as an extraterrestrial scientist, bringing humanity the tantalizing knowledge that life could have once thrived on Mars. Throughout 2013, scientists announced results from the rover's analyses that revealed new secrets of the Red Planet's history. Clay formations in Mars' Yellowknife Bay indicate an environment that was once favorable to microbial life. The soil contains about 2% water by weight. We also know more about the composition of the planet's atmosphere, which is only 1% as thick as our own. Meanwhile, a company called Mars One announced its intentions to land four lucky astronauts on Mars in 2025 to begin the first human colonies there. The technology doesn't exist yet to bring anyone back, the company said, so whoever goes will have to stay. More than 200, 000 prospective astronauts found this idea attractive enough to apply. A different group, the Inspiration Mars Foundation, said it wants to send a man and a woman to pass by Mars in 2018, in a round-trip flight without stopping. This made us wonder: Could you survive 501 days in space with your spouse? The probe, which launched with its twin, Voyager 2, in 1977, made history as the first human-made object to leave the heliosphere, the magnetic boundary separating the solar system's sun, planets and solar wind from the rest of the galaxy. We didn't get confirmation from scientists until well after the actual event took place, though. A study in the journal Science suggests the probe entered the interstellar medium around August 25, 2012.Also, scientists put together a picture of the universe as a baby, in greater detail than ever before. Thanks to the new data from the European Space Agency's Planck space telescope, which studies light left over from the Big Bang, scientists now believe that the universe is about 100 million years older than they thought.Three Kepler planets announced this year, located about 1, 200 light-years away, are considered some of the best candidates so far for hosting life. And astronomers still have two years' worth of Kepler data to plow through, said Bill Borucki, the project's principal scientist. (Using different instruments, astronomers separately found other potentially habitable planets in the Gliese 667 system). The Kepler space telescope has led scientists to believe that most stars in our galaxy have planets circling them. But the spacecraft ran into some trouble this year: The failure of a control mechanism used to keep the device focused on distant stars with pinpoint accuracy. But NASA says it still hopes to find another role for the craft, which has confirmed the existence of more than 135 planets since its launch in 2009. As we tracked the progress of machines that humanity sent out of this world, we also watched out for approaching space rocks - and not all of them flew by gently. In a twist worthy of Tolstoy, as astronomers watched that well-tracked rock approach, a different asteroid plunged into Earth's atmosphere and exploded high over the Russian city of Chelyabinsk. More than 1, 500 people were hurt, mostly by flying glass from blown-out windows across the region. It was the biggest cosmic intrusion since the 1908 Tunguska explosion over Siberia.Scientists determined the meteor was about 60 feet (17 meters) across and packed the punch of about 30 Hiroshima-type atomic bombs when it blew up. Researchers have been collecting and studying the fragments ever since, and in October, a suspected chunk weighing 570 kilograms (1, 257 pounds) was hauled out of a nearby lake for study.NASA's Near Earth Object Program keeps a close eye on the asteroids that pass the planet almost daily, but they don't catch everything. Ukrainian astronomers discovered asteroid 2013 TV135 on October 8, while NASA was closed during the government shutdown. The asteroid had already passed by Earth on September 16. Back on Earth, the animal kingdom got several important additions this year. Some had been extinct for millions of years; some are alive now, and were just hard to find. Archicebus achilles was the name of the species represented by the oldest primate skeleton found, as described in the journal Nature in June. It is considered to be a missing link between two groups: the anthropoids and the tarsiers. The 2.8-inch-long cutie lived about 55 million years ago. Then along came a different creature that looks even more cuddly, and it's alive today., the Smithsonian described the mammal's appearance as a "a cross between a house cat and a teddy bear, " even though we know the latter isn't a real animal. Such discoveries don't happen often; the olinguito is the first mammalian carnivore species to be newly identified in the Americas in 35 years, says Kristofer Helgen, curator of mammals at the Smithsonian's National Museum of Natural History.The Cape Melville Leaf-Tailed Gecko is also among the species discovered in 2013. This primitive-looking lizard, along with two other vertebrates and a "host of other interesting species" that may also be new to science, have been isolated in a remote mountain range in Australia for millions of years. We're also learning more about the world of our ancient relatives, although there's not enough information to use the word "ancestor." A remarkable find in Dmanisi, Georgia, gave us the most complete skull ever of an individual from the early Homo genus. It is the fifth example of an ancient hominid, a bipedal primate mammal that walked upright, at this site. Scientists involved in the discovery proposed that these individuals are members of a single evolving Homo erectus species, examples of which have been found in Africa and Asia. They also said that what have traditionally been called distinct species from this period - Homo ergaster, Homo rudolfensis and Homo habilis - could actually be variations on a single species, Homo erectus. That's a radical departure from how ancient human relatives are currently classified. Other experts said the skull is an important find, but disagreed with the controversial theories regarding Homo erectus membership. The sequencing technique used in this study, said senior author Svante Paabo, "opens a possibility to now do this at many other sites, and really begin to understand earlier human evolution." Scientists are also hoping to help our own species understand the perils associated with climate change. The phenomenon raises the likelihood of severe weather events and is predicted to damage agriculture, forestry, ecosystems and human health. 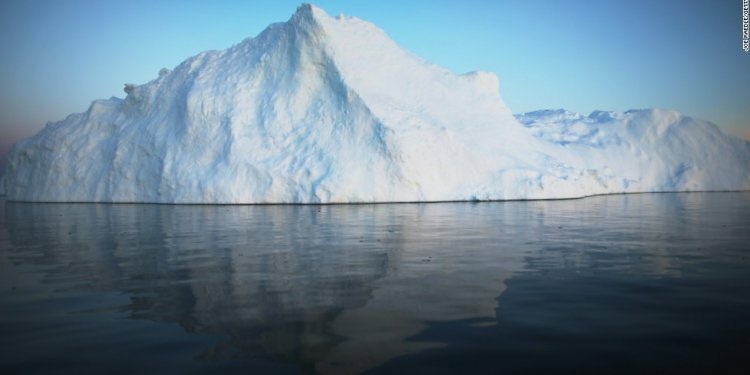 The Fifth Assessment Report of the Intergovernmental Panel on Climate Change, released in September, found increasing evidence that ice sheets are losing mass, glaciers are shrinking, Arctic sea ice and global snow cover is decreasing, and permafrost is thawing in the Northern Hemisphere. And the researchers said they were more certain than ever that humans are responsible for at least half the increases in global average temperatures seen since the 1950s. While the concept of man-made climate change remains controversial politically, the debate among scientists and governments has shifted toward what can be done to limit the carbon emissions blamed for trapping heat in the atmosphere, how to deal with the expected effects, and who should pick up the cost for the poor countries analysts say are likely to be hit the hardest. A U.N. conference on the topic struggled to reach consensus despite a dramatic plea from a representative of the typhoon-ravaged Philippines. Global emissions were on track to top a record 39 billion tons, though the United States and Europe managed to cut their carbon dioxide releases.